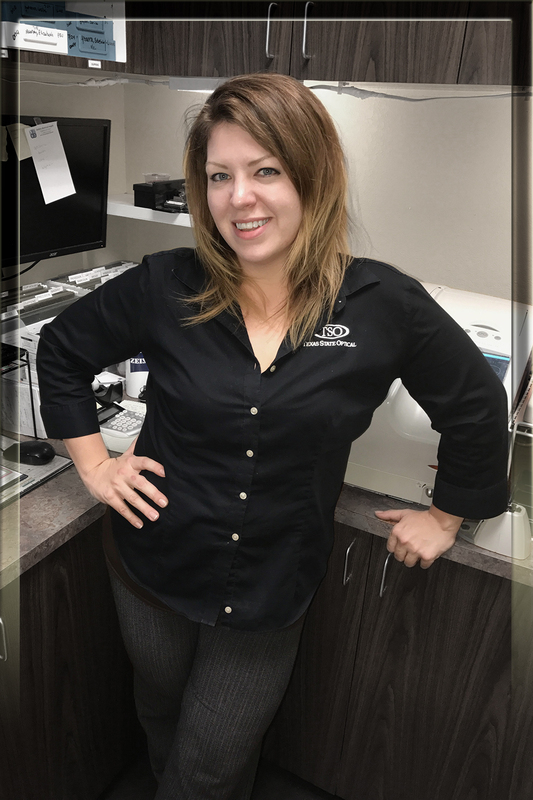 Valerie began her optical career in 2004 and earned certification through the American Board of Opticianry in 2010. She has experience in all areas of optometry including patient testing, contact lens fitting, frame-styling, insurance and fabrication of glasses in the lab. As the office manager, Valerie is focused on making certain your visit is exceptional from start to finish. Her goal is to provide each patient with personalized eye care while upholding the prompt and professional service you deserve. She likes to spend her free time on outdoor hiking adventures, watching football, taking fun family trips and meeting new friends. She also enjoys painting, reading and watching scary movies!